In this post, I had to get some stuff off my chest about a topic I’m sure 99.9% of the readers will have some experience with… worrying about what people think of you. We’ve all done it at some point and to a degree, it is a very natural thing to do. The problem occurs when this worry is expressed as a self limiting action or belief that prevents us from doing things that we want to do in our lives. Tony Robbins says, It’s NEVER about you when you think it is. In all seriousness, thanks for the comment. Great quote from Robbins as well. Rich with truth but easy to forget. Love the whole video….the one thing that stuck out most to me – was the point about people being in their own worlds. I think people far too often worry about what people are thinking about them…when in most scenarios you were nothing more than a passing thought. So true man. A passing thought at best. Still, I have to constantly remind myself of this because it is so easy to go back into the mode of worrying what people think. Some people are worse than others but I know I’m not alone here…not by a long shot. Some very good advice in this video, There have been many times in my life where I have worried about what other people have thought about my actions. Some years ago I was working as a Chef and decided I wanted to transition to a new career in Contract managment at the time I copped some well intended advice from family and friends that I should stick with my trade and that I never had the skills or business accumen to make it in a ‘Management role, some 15 years down the track I am glad I stuck to my own instinct and decided to learn a whole set of new skills. In more recent times the critque has come for wanting to become an Entrepreneur and give up a “solid secure high paying job” As well as developing a whole new set of maketing skills. If we listened to everyone that had an opinion, we may miss that golden opportunity to forfill our dream! Great insight Stan. I find that the easiest thing to do in most situations is to follow the lame advice of people who think they know you better than you know yourself. The fact that they feel they need to offer advice to begin with often speaks volumes about their true results in life. The most successful people I know are the people who encourage me to go for it and pursue all of my “crazy” ideas. They encourage me because they did the same thing on their path to success. People with mediocre results and who have never had the personal courage to try something crazy in their life are always the first to tell you to be “realistic”. Screw them ! 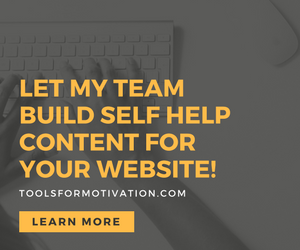 Great content Justin – it is very hard to take yourself in a new direction with confidence. Life is much fuller when you can follow your passions without worrying who my or may not approve. Thanks for the comment Anthony… its so true. The hardest part is to actually make yourself FEEL like you truly don’t care what people think. It is a practice. it is more important to commit to improving on it that ridding yourself of worry altogether. Sooner rather than later, you start taking actions that you want to take and you rarely care what other people may think/feel/say! This reminds me of Miquel Ruiz and his Four Agreements book. I always try to keep the advice in mind. “What other people think about you is none of your business”. Very true! If we internalized what other people think about will definitely change our thoughts and actions. We second-guess ourselves and then you fall into the trap of living OUR life for SOMEONE else. Not good! “What other people think of you is none of your business”. Great quote.